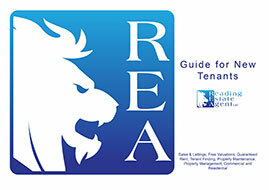 The REA team have created a guide which gives you clear support on what is involved when you are looking to rent a property. From finding a property to signing the contract, the guide gives you clear indication on how to tackle each element of the renting process. Once you have viewed a property and have decided to proceed with the letting, you will be required to pay a Holding Deposit equal to half a month's rent. Please note that we are unable to refund the Holding Deposit, should you decide not to proceed or your references are not deemed satisfactory. If however, the property is no longer available to rent, through no fault of your own (i.e. landlord withdraws property and decides to sell), then any monies paid by you will be returned in full. Once you have viewed a property and have decided to proceed with the letting, you will be required to pay a Holding Deposit equal to half a month’s rent. Please note that we are unable to refund the Holding Deposit, should you decide not to proceed or your references are not deemed satisfactory. If however, the property is no longer available to rent, through no fault of your own (i.e. landlord withdraws property and decides to sell), then any monies paid by you will be returned in full. If you are on Income Support or Job Seekers Allowance, you will be entitled to claim Housing Benefit and / or help with your Council Tax and possibly even if you are on a low income. As Letting Agents, we are no longer able to hold a stock of housing benefit forms or Pre-Tenancy Determination forms, which must now be collected from the relevant Local Authority. claim is being assessed and no monies are being paid by the Council. We may also ask for 6 months ‘top up’ from you for first 6 months of the tenancy. If you are not registered on the electoral role at your current address, you will need to provide proof of residency (i.e. utility bill or copy of tenancy agreement – if renting). If you are renting with the assistance of Housing Benefit, or if your references indicate that you may prove financially weak, you will be asked to provide a working Guarantor – that is someone who is earning a sufficient wage / salary to guarantee the rent on your behalf for the complete period of the letting. Reading Estate Agent Ltd usually prepare a full inventory for the property (whether furnished or unfurnished); on which are noted any defects, such as stains on carpets or tears in wallpaper etc. We also read the gas, electric and water meter (if applicable) and note these on the inventory. You will have one week to check through the inventory, sign and return, and make any amendments you feel necessary (subject to checking by a member of our staff). On occasions where a Landlord does not use our management service there will not be an inventory produced and we suggest that you ensure that wither you or your Landlord prepares an inventory that you both agree and sign. The landlord is responsible for insuring the property and any items that belong to them and are left in the property. It is your responsibility to insure your own contents under a comprehensive insurance policy. We will be happy to arrange this for you via our special scheme and we will give you a copy of a brochure for your perusal. Cover starts from just £79.00 for twelve months for £2,500 cover (including accidental damage). By taking up cover you are safeguarding the return of your deposit. Please note if you do not wish to take up our Tenant Contents Insurance, you must provide proof of cover (i.e. copy of policy schedule) before you take possession of the property. The Tenancy Agreement you sign is a legal document, it is between the owner of the property (The Landlord) and yourself (The Tenant). The initial term of the tenancy is usually six or twelve months, depending on your own wishes and those of the Landlord. You are usually given the option to renew your tenancy for a further six or twelve months and where we are acting as managing agents, our Property Management department will write to you approximately two months prior to the end of your Tenancy Agreement in this regard. You should read the Tenancy Agreement carefully and ensure you understand it fully. The Tenancy Agreement places legal obligations upon you, some of which are explained below. all the obligations of the Tenancy Agreement). If the landlord wishes to end the tenancy you will be given two months’ notice to quit the premises. You can only leave the property at the end of the period stated in the Tenancy Agreement (if you wish to leave when the Tenancy Agreement is due to expire you must notify us in writing giving a minimum of one month’s notice from your next rent due date). If you vacate the property early and do not give a full months’ notice YOU WILL BE RESPONSIBLE FOR THE RENT PAYMENTS FOR THIS PERIOD. Everybody living at the property over the age of eighteen must be named on the Tenancy Agreement. You cannot move anyone into the property unless you have informed us (in writing) and we have permission for you to do so from the landlord. • The items listed on the inventory (if applicable) are all present and in good condition. receive your deposit, which will be returned by way of Company Cheque to your forwarding address. N.B. If you do not have a bank account, we can, with your written authority, make the cheque payable to a third party of your choice. 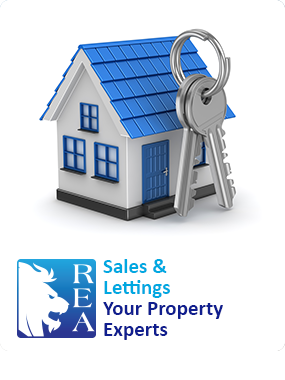 If the property is managed by Reading Estate Agent Ltd, it will be held on your behalf as ‘Agents’ for the landlord. If we are not managing the property, your deposit will be held by your landlord, who will be responsible for repaying this to you at the end of the tenancy. In either case, NO interest will be paid on your deposit. If there is a problem with the property you are renting you must inform us in writing immediately or if we are not managing the property, you should contact the landlord direct (failure to do so may mean that you are held partially responsible should the delay result in added deterioration). Once we have been informed of a fault we will contact the landlord and act upon their instructions. You must not instruct a contractor to undertake any work; if you do it will be at YOUR own expense. Should you wish to make changes to the property, YOU MUST INFORM US IN WRITTING (or in the case of Letting Only Tenancies – your landlord) and wait until permission is granted before any work commences. We have an obligation to conduct regular inspections to all tenanted accommodation. 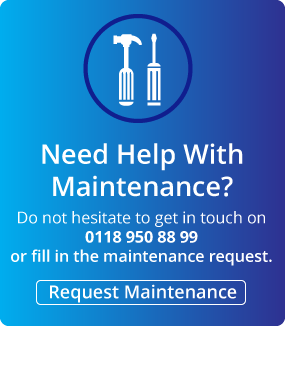 Inspections will be carried out on a periodic basis (approximately every 3-6 months) and are to ensure the property is not in need of repair and to ensure you are looking after the property. You will be given notification by our Property Management department when as inspection is due to be conducted in writing. You cannot have any pets unless we have permission from the landlord in writing. You must consult us prior to obtaining a pet and submit a written request to have a pet stating age / type / breed. Some landlords will accept a NON REFUNDABLE deposit of £200.00. It is the Tenant’s responsibility to maintain the garden (if any) in a neat & tidy condition (i.e. keep the grass cut regularly and weeding of flower beds etc.) unless stated otherwise in the tenancy agreement. If not already paid, you must bring with you your first month’s and a half deposit rent in cleared funds (i.e. cash, banker’s draft or building society cheque). Please note that a personal cheque is not sufficient and you will not be able to move in at this time! The day you move in to the property, you will be required to come in to the letting office to sign the Tenancy Agreements and inventory, unless they have been signed electronically. You will be given one copy of each for your safekeeping. We will also supply you with the key/s to the property. Tenants of managed properties will be given Reading Estate Agent Ltd account details, to set up a monthly direct debit. Once you have moved in to your property, any matters relating to your tenancy (i.e. repairs, On the day payment of rent, renewal of contract etc.) will be dealt with by our Property Management department. 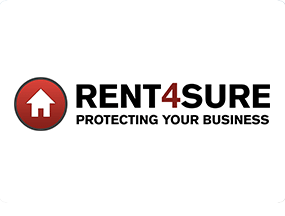 If you are not taking Rent4sure Contents Insurance please ensure that you bring a cover note from your insurance company giving details of amount insured and policy number. In the case of Letting Only tenancies (i.e. where we are not acting as managing agents), you will be given bank account details and contact details for your new landlord and any queries after you have moved in (i.e. repairs, rent payments etc.) should be directed to your landlord and not Reading Estate Agent Ltd.
We do hope you will be happy in your new home. Reading Estate Agent are not members of a client money protection scheme. Reading Estate Agent Are members of The Property Ombudsman independent redress scheme. Tenancy Set Up(one tenant) including tenant referencing, production of tenancy agreement,(fee shared with landlord),obtaining safety certificates , deposit registration and required pre-let works. Bedsits and shared accommodation Set up Discounted by 50%. Guarantor referencing and production of Deed of Guarantee. Alteration of tenancy dates given in subject to Contract letter-Administration Fee. Check-in Fee(fee covered by landlord). Change of Sharer Redrafting tenancy agreement referencing new tenant(s) re-registering the deposit and producing prescribed information notice. Landlord Reference for New Tenancy. Credit Check Per Tenant or Guarantor. Extension Set Up 6 Months - 12 Months.